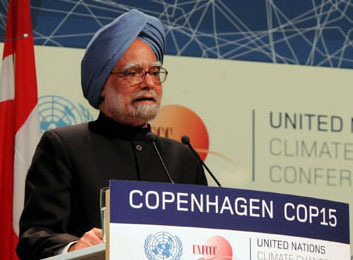 27 Sep : Prime Minister Manmohan Singh said that it is the obligation of the people to preserve and protect Delhi which is rapidly transforming into a modern metropolis. “It is rightly said that the city of Delhi is a living museum. We have the obligation to preserve, protect, study and document the rich legacy of one of the great cities of the world,” Dr. Singh said on Monday releasing a book on “Monuments of Delhi”. The book, brought out by the Archaeological Survey of India (ASI) on the occasion of Commonwealth Games, would be of use not only to the visitors coming in New Delhi shortly but to its residents as well, he said. “Delhi is rapidly transforming into a modern metropolis and the skyline is constantly undergoing change. But we should not forget that Delhi is among the most historic cities in the world,” he said. Dr. Singh said that the Ministry of Culture was working to revitalise the ASI so that it became an institution of excellence that could manage the historical treasures in a professional and imaginative manner. He said out of 174 monuments that are maintained by the ASI in the national capital, this book focuses on 46 monuments that are located within the core area of the Commonwealth Games. The Prime Minister said that there should be more efforts such as the publication of Monuments of Delhi that stimulate public interest in the monuments and in the work of the ASI as well.